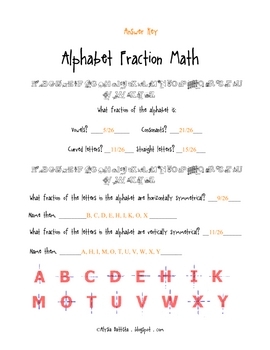 These activity sheets ask students to analyze letters of the alphabet to create fractions using vowels and consonants, curved and straight lines, and lines of symmetry. 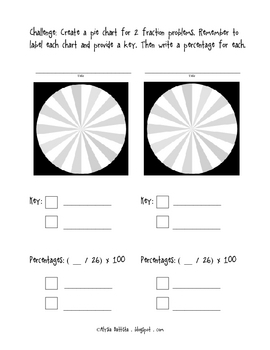 A challenge page asks students to create a pie chart and find percentages. Also includes an answer key. Supplies needed: mirror, scrap paper, crayons, calculator.